Totally agree with you on the need to mix up styles. Love the boots! 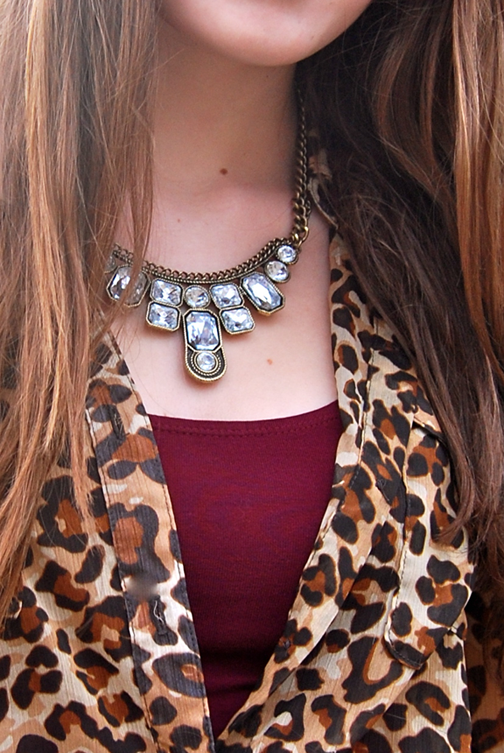 absolutely love your necklace and your leopard print button up! La robe est vraiment tres belle!! Love the boots paired with the more girly outfit, I enjoy mixing it up like this too, its fun to throw in something unexpected! Your necklace is awesome too! That's a fun outfit - looks comfortable, too! I like how you tied your shirt over your dress! okay, i love love your entire ensemble! it all goes so well together :) i'm now a follower of your blog! I love your skater dress, so pretty! i love having this idea of a "two-faced" outfit. perfect!! really like your boots and the dress! 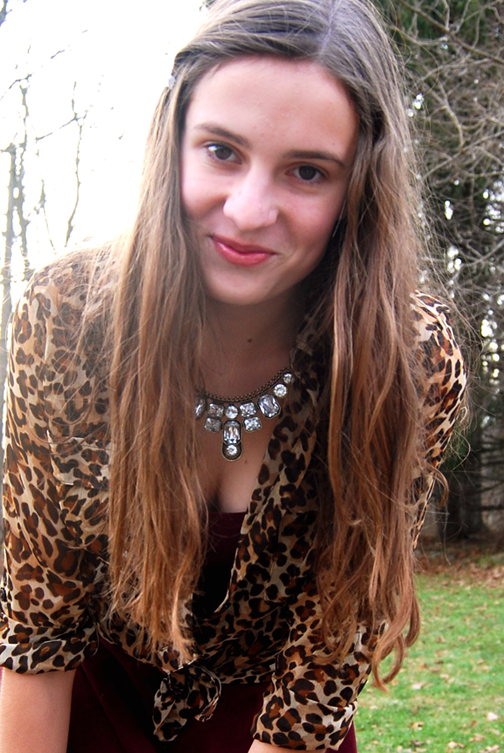 I like burgundy+leopard! looks great! I love the edgy shoes. So cool. you have such great style! u have a new follower! Thank you for stopping by at my blog! I really like your outfit here. That statement necklace is beautiful! Love the leopard coat with the red dress, very good! You look so cute dear!! Love your necklace and boots! Fab blog dear! beautiful outfit!! !amazing blog! !i'm following you!! I LOVE that dress and those boots are so cute! What a great look altogether! You're comments always INSPIRE ME! I really like those boots! they look great with this dress! cute outfit! i love all the colours! Cool outfit!..Nice blog too, definitely adding you to my google follow.. follow back?